Article published in Journal of Pharmacy & Pharmacognosy Research 6(6): 483-502, 2018. Department of Pharmacognosy & Herbal Medicine. Niger Delta University, Wilberforce Island, PMB 071, Yenagoa, 560001, Nigeria. Context: The importance of traditional medicine cannot be over emphasized as a quarter of prescription drugs globally are natural based. In this type of medicine, plants are mixed together or are sometimes used in combination with other materials such as animals and minerals, as remedy. While a considerable amount of documentation of indigenous knowledge of medicinal plants has been executed, there is paucity of similar studies on animals in Nigeria. 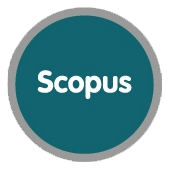 Aims: To carry out a survey of ethnozoology among the Epie-Atissa and Ogbia people of Bayelsa State, Nigeria, with a view to documenting species with zoo-therapeutic values. Methods: Using a semi-structured questionnaire, information was gathered through personal interviews with traditional medical practitioners. The data were evaluated using some ethnozoological indices such as use value of the species, family use value, relative frequency of citation, relative number of use, relative importance index, and cultural importance (CI). Results: A total of 43 species of animals belonging to three phyla, Chordata (66.7%), Arthropoda (22.2%) and Mollusca and Pisces (15.9%) were gathered in ten classes with Mammalia being the most mentioned (22.7%) followed by Reptilia (18.2%) and Pisces(15.9%). The most important diseases cited were inflammation/pain/arthritis (20.0%), ear/nose/throat (18.3%), reproductive purpose (16.7%) and convulsion/epilepsy (15.0%) while the most culturally important animals (CI) included Agama agama (0.85), Protopterus dolloi (0.45), Testudo graeca (0.23), Gorilla gorilla (0.17), Hemachatus haemachatus (0.14) and Hemidactylus frenatus (0.14). Conclusions: The survey furnishes the populace including medicinal plant researchers and some other traditional medicine practitioners with a real wellspring of communicable knowledge. These medicinal animal materials could be included in the healthcare delivery system of the country. 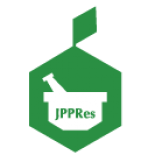 Esta entrada fue publicada el 12 de enero de 2019 por JPPRes Blog en Ethnopharmacology, Traditional Medicine, Zoopharmacognosy.